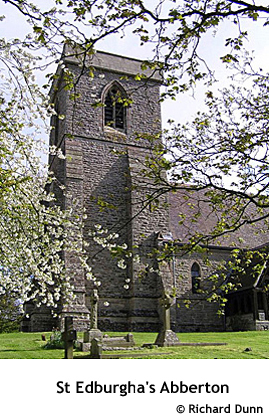 ABBERTON, a parish in the upper division of the hundred of PERSHORE, county of WORCESTER, 7 miles (N. E. by N.) from Pershore, containing 82 inhabitants. The living is a discharged rectory, in the archdeaconry and diocese of Worcester, rated in the king's books at £5. 8. 1½ endowed with £200 royal bounty, and in the patronage of Mrs. Sheldon. Here is a mineral spring, the water of which is bitter and cathartic, being somewhat similar to that at Cheltenham.